How do you have today? And what weather do you have? Because, here, the sun of us have forgotten. Please, you leave a comment. 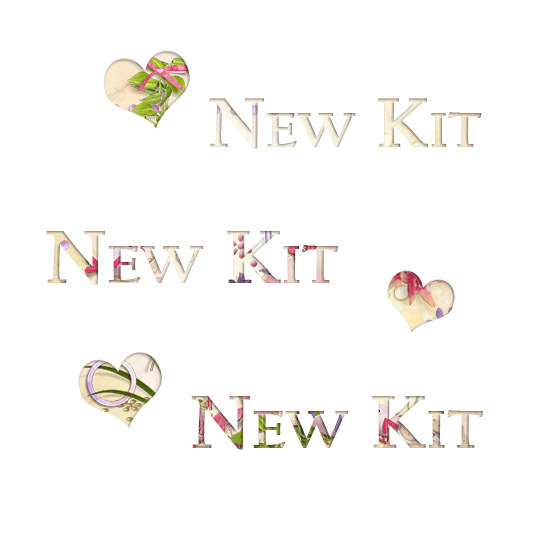 I'll come back here on Thursday and I will pick 3 person who will receive this kit. I absolutely cannot wait to see the new kit. You are the very best designer!!! Oh, my god it's wonderful imagination ... ... I'm looking forward to... Beautiful, delicate and subtle elements and colors. Thanks you for this change. I can't wait to see the whole kit. Can't wait to see whole wonderful kit!! Looks like a great kit. Thank you for the opportunity to win it. Ik like the preview. I can't wait tro see the whole kit! By the way: Here in the Netherlands nearby the coast the weather is great whole week! Looks like a fresh kit! Your design is very great and beautiful!